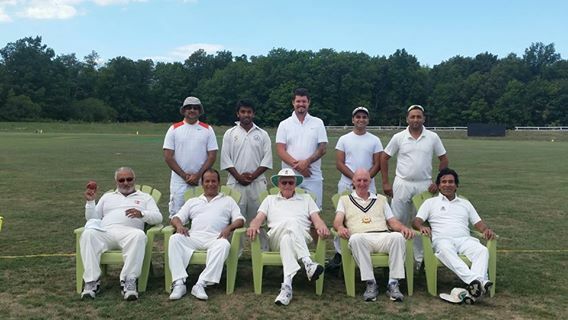 Teams mixed with some fine cricketers, veterans, actors and actresses and Niagara Cricket Club board members had witnessed a superb atmosphere at the grounds of Niagara Cricket Center. Shaw Festival cricket players, stage actors and actresses had a well-executed action plan where they scored exactly 100 runs in allotted 20 overs. It does appear that Shaw Festival team could ACT very well not just on stage…. but also on the NCC center cricket pitch ….and in the outfield as their performances were upto par at the Niagara Cricket Center. In reply Niagara Cricket Club, composed of some of the fine and seasoned cricketers tried hard to reach the desired total of 100 run…but ran little short by 14 odd runs. NCC wants to thank Shaw Festival team (a superb bunch) for visiting Niagara Cricket Center and wish them best of luck in their upcoming RIVAL cricket game versus Stratford Festival, happening for decades, now scheduled for Monday Sept 12th at the grounds of Niagara on The Lake. NCC highly appreciates the volunteer work and efforts performed by following fine cricketers…directors and gentlemen for their works performed before, during and after the end of the game. Steve Ferley – Director of NCC for captaining and also umpiring the game . Moe Hamdani – Director of NCC for assisting in wrap-ups and housekeeping . Anthony Pratt – One of the best NCC Elites all-rounder …for scoring the game. Asad Ali – Director of NCC for assisting in housekeeping. Fakhshad Bhetasi – 2 Youngsters taking care of housekeeping and of boundary ropes. Vinod Minhas – One of the best NCC Elites all-rounder for assisting the setup and scoring.